According to Samsung's recent Twitter post, the Korean tech giant teased the follow-up to the Gear S2 smartwatch. 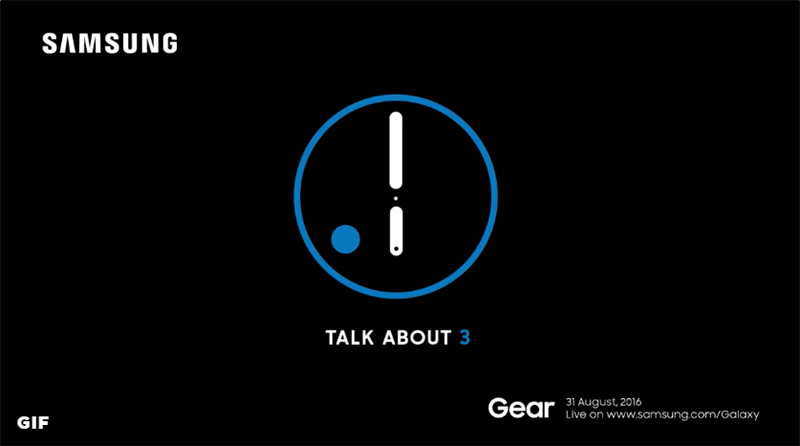 Unsurprisingly dubbed as the Gear S3, their latest smartwatch will be unveiled this August 31, 2016. At the IFA 2016 this September 1, Samsung will also hold its press conference which will reveal more details about the said device. According to rumors, Samsung will keep the round shape / rotating bezel of its predecessor, will make it a more functional / powerful device, and will come with 3 variants. As per leaks it could be named as Gear S3 Classic, Gear S3 Frontier, and Gear S3 Explorer. Apart from the Gear S3, Samsung might also release the Samsung Galaxy Tab S3 with better specs and performance at the IFA 2016. Stay tuned for more updates here at GIZGUIDE.com!